Ever since word got out that the sanctions against travel to Cuba were lifted, and that opportunities for U.S. travelers to visit the culturally rich country became less cumbersome. I've had my heart set on seeing this place for myself. The rumor of how this country and it's culture has been frozen in time since Fidel Castro's regime took over was an uncertain feeling for me. . . Initially, I was very excited at the thought of going, but as the day got closer, I could feel my resolve weakening, and I had doubts about the trip. However, I left my fear at the border and crossed into the uncharted region that is now openly available for rogue travelers like myself to explore. . . 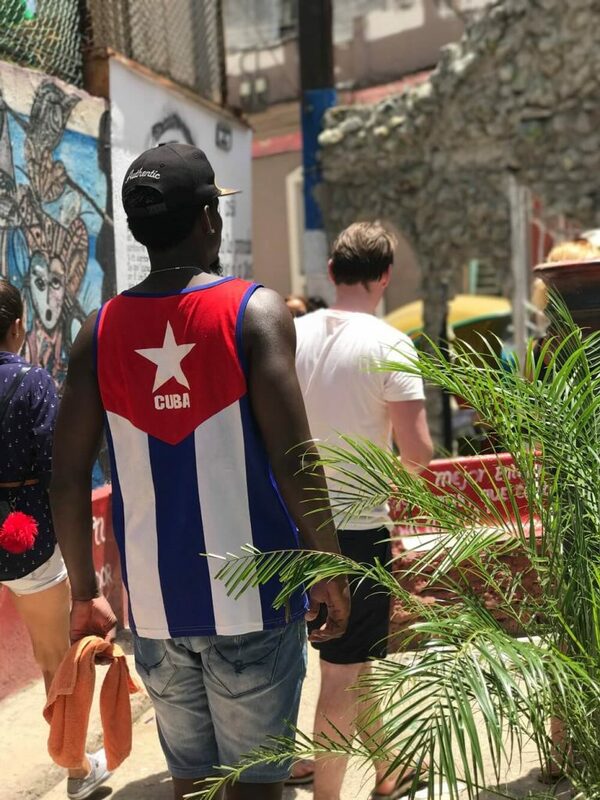 Ever since word got out that the sanctions against travel to Cuba were lifted, and that opportunities for U.S. travelers to visit the culturally rich country became less cumbersome. I’ve had my heart set on seeing this place for myself. The rumor of how this country and it’s culture has been frozen in time since Fidel Castro’s regime took over was an uncertain feeling for me. Initially, I was very excited at the thought of going, but as the day got closer, I could feel my resolve weakening, and I had doubts about the trip. However, I left my fear at the border and crossed into the uncharted region that is now openly available for rogue travelers like myself to explore. Cuba for many is not a country available for business or networking opportunities. Since the government has limitations with the United Sates internet connections are difficult to obtain but for those who are able to connect it is definitely a humbling privilege. My experience of being there has changed my view of the world and how people in other countries live. I also have a better understanding of how people are able to make the most of what they have. The Cuban people love their country, and most of all they love their culture. A culture I only knew through television shows and online articles, but my visit gave me a firsthand experience of how much they are aware of who they are. And how much they love their African heritage and weren’t ashamed of it. The Cuban people are very diverse since so many of them have migrated from other countries. The Afro Cuban culture has a strong presence as well. I found it so interesting seeing people with features so similar to those historically from African countries speaking the Latin language. A language that is perceived to be associated to the more European complexions and ethnicities. Their hair textures are also no different from my texture. Most people, including myself, assume Latin speaking countries traditionally have hair textures on the straighter side, but that is far from the reality of the Cuban people. 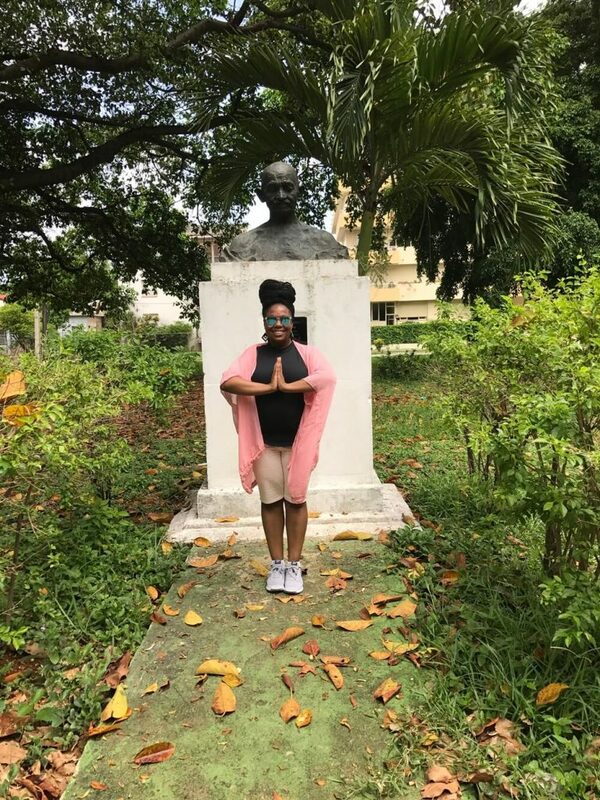 My visit to Cuba has broadened my mindset on the diversity of African culture and given me an appreciation of my African ancestry. I now have a deeper connection to this country & myself.